Good Tuesday morning! Grab a cup of coffee and settle in for a beautiful morning! After a short stint of writer’s block, the words are flowing in. As I told you in a previous post, the outlining part of Scrivener has helped. I’m keeping my focus and know where the story is going. Actually, the process is making it flow faster than ever. Not to mention, I’m not straying off on little detours that will derail the story. I feel like the light has been let in and everything is clear. It’s a great feeling and I can’t wait to share this story with everyone. So, have you let the light shine in on your story yet. Tell me about your breakthroughs in writing. Categories: Uncategorized | Tags: #amwriting, Authors, coffee, Morning, Outlining, Ramblings, Romance, Scrivener, Shine, Sun, Tuesday, Writing | Permalink. Hashtags – Useful or not??? # Good morning! Hope all is well with all of you. Hashtags, do you use them or not? Well, I’ve been in and out on this subject, so I did several posts on Instagram and Twitter, using popular hashtags and the response was surprising. I started gaining followers and the retweets, likes and even comments went up in numbers. Not to mention my sales did a nice run up the scale. Now, is this coincidence? Could be, but I think not. The reasoning behind this comment is that I have over thirty published titles and I did the test on only a couple of them. One was a back stock title. I used the promotional methods that I learned in one of my latest promotional studies. Everything pointed at using hashtags that were similar to your book. For example, I promoted Tuscany with #Italy #Tuscany #Oliveoil #amreading #truelove and I had several followers from the tourism industry and even some from the olive oil industry. (If you have read Tuscany, then you know why I hashtagged olive oil). I even went one step further with the test, just to have a random selection. I used pictures from my personal everyday life and hashtagged the different things pertaining to the picture. Like our bbq chicken on the grill. My husband laughed at this one because, within minutes of posting it, I received several likes and comments from grillers, bbq restaurants and the like. It was great. Now I had my answer. So, do hashtags work? Well, according to my little study they do. Have you had success with hashtags? Either way, let us know. Categories: Uncategorized | Tags: #amreading, #amwriting, #anwriting, #hashtag, Amazon, Authors, Promotions, Romance, Tuesday | Permalink. Good Tuesday morning! It’s one of those, ‘I want to stay in bed longer’ kind of mornings, but alas, I had to get up and fix breakfast then lunch for my son before school. Now, two cups of coffee later, my eyes are still heavy. Menopause, I blame that for my lack of sleep. Now, the good side of not sleeping and lying awake; story ideas! As I lay there in the middle of night, refusing to get up and read, I worked on part of my pirate romance that was stumping me. In my mind, I had it figured out. The funny thing is, when I did drift off to sleep, well, I dreamed about pirates. That’s not a bad thing, I like pirates. So, this morning as I start back on the manuscript, I’ll put the newly thought out part into words. I’m so loving my new pirate romance. It’s pulling me into the story. But of course, all of my books pull me in and envelope me. That’s how I keep my head in the work. With the cloudy, dreary morning, I struggle with my sleepy eyes, but hopefully, the third cup of coffee will do the job. Especially since I have to get my act together and get to the office in a couple of hours! Categories: Accounting, Anxious, Author, Bestseller, Books, Coffee, Contemporary Christian Romance, Inspiration, Journey, Love, Novels, Pirate Romance, Pirates, Published Books, Reading, Remember, Romance, Uncategorized, Writing | Tags: #amwriting, Ideas, Morning, Sleepy, Tuesday | Permalink. http://rosieamber.wordpress.com/ is going great. We’ve almost filled all the spots. So if you’re a romance author or your book has some romance elements message us quick. 2nd, my newsletter is going smoothly. I’m to the point of getting with some of those that messaged me wanting to subscribe and the ones that wanted free exposure. If you’ve already subscribed it’s only a little bit before it’s out. If you haven’t subscribed please message me. Well, the snippet part is from the book I’ve been working on for a while. I’ve been totally engrossed in this one. It’s a historical romance Saga. 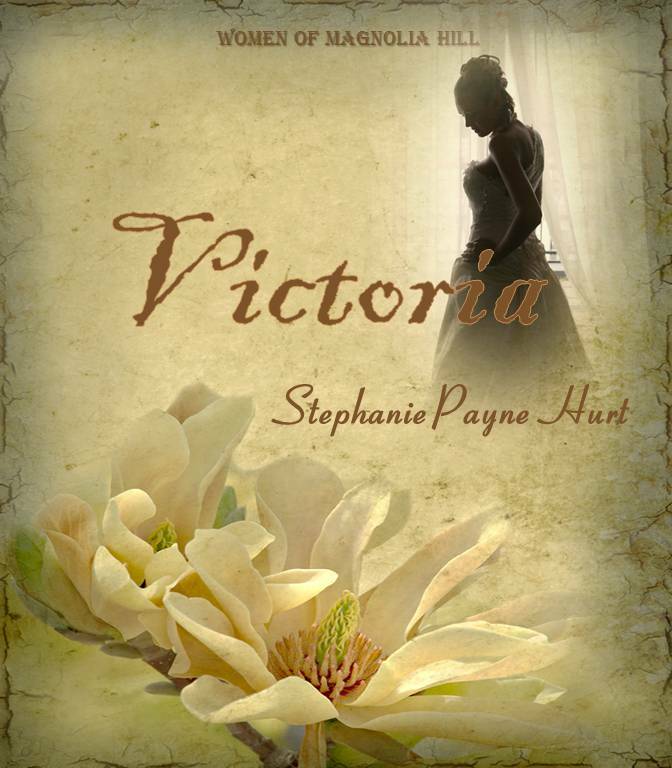 “Victoria” is the first book in The Women Of Magnolia Hill Saga. It’s already almost 30,000 words and not quite halfway completed. Deadline is end of this month sooooooo…. Here is a little snippet, hope you like it. Remember it’s a work in progress so no editing yet. “Thanks for being honest. That means a lot to me. You seem genuine in your apology so I accept it. We’ll just take things one day at a time.” She turned back to watch the moon. “That magnolia has been here since this house was built by my grandfather. He planted it as a wedding present to my grandmother. Then he named this house Magnolia Hill. It was such a romantic gesture.” She was in deep remembrance. Her heart wanted the love her grandparents and parents had. She’d always wanted that. Could she have it with Zane? When she looked into his eyes she saw something that made her shiver, but not from fear but excitement. “I wondered why it was called that. That’s a nice story.” His mind started working on a wedding gift for her. He wanted it to be special enough to make her look like this when thinking on it. “My grandparents were special people. They met just like we did. Her father brought in my grandfather for her to marry. She didn’t want to marry him, but her father insisted. My parents were introduced the same way. I guess its part of the ritual.” She shrugged her shoulders as she watched the moon go over the top of the magnolia tree. “I think I’ll go to bed too. Thanks for telling me the truth. I feel better about things now.” She slowly walked to the door. “I hope you have sweet dreams. Good night Tori.” He watched her smile as she walked through the door. When she had closed the door he leaned on the post. Taking out a cheroot he lit it and watched the moon. He felt better getting that off his chest. It was the gift that flooded his mind now. As he watched the moon light twinkle on the polished leaves of the old magnolia a grin came across his face. He knew exactly what he’d give her. He finished his smoke and went up to bed. Hope you liked it. I think this little tidbit makes you wonder what happened before and what the gift is. It’s a sweet story which lots of dramatic elements, war torn elements and loss. I’m really excited about finishing this first installment. I will be announcing a giveaway in the next week or so. Keep watching for it. Categories: Uncategorized | Tags: Historical Romance, Romance, Snippet, Tuesday, Victoria, Work In Progress, Writing | Permalink.